With most car cards done, I needed to finish the folders to hold them before I can start building trains and get the Welztalbahn operational again. Making progress on that front. 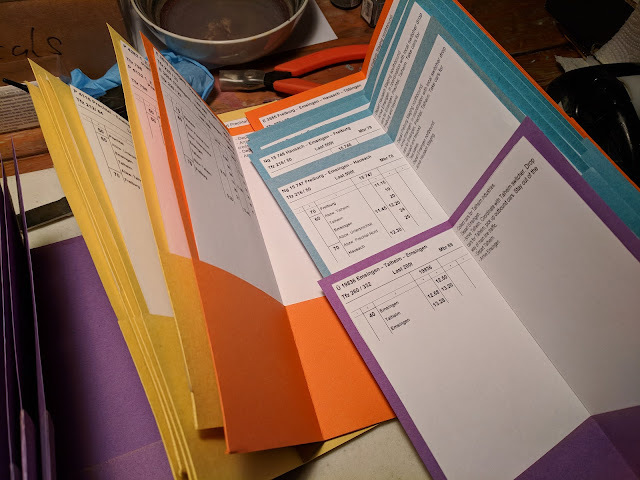 The folders are color-coded, yellow for local passenger trains, orange for long distance trains, blue for local freight, and purple for transfer runs.